Dr. Schalk Botha (right) was the first client to step foot in Bank Windhoek’s new branch at The Grove Mall in Kleine Kuppe. Dr. Botha is pictured receiving a gift from Dian Coetzee (left), the Branch Manager as Mushe Lishoni (centre), a staff member looks on. 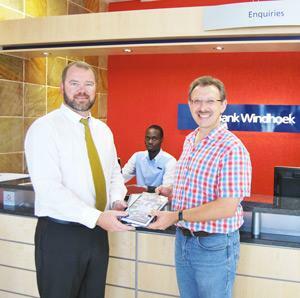 Bank Windhoek opened of its 54th branch in the new The Grove Mall in Kleine Kuppe, Windhoek. The new branch offers clients in the south of Windhoek convenient banking and will also cater for the businesses that will be operating at the new shopping mall, which is expected to be the biggest in the country and one of the biggest in Africa. “Bank Windhoek will continue to assess opportunities for establishing new branches and agencies to make banking accessible to all Namibians. The recent addition to our footprint, was a new agency in the Khomas Grove Mall in the Khomasdal suburb, which was opened last year. We also relocated our Maerua Mall, Katutura and Okahandja branches to bigger premises to cater for their growing client base,” said Marlize Horn, Executive Officer: Group Marketing and Corporate Communication Services. “Internationally as well as regionally, the banking sector is moving towards electronic banking services. 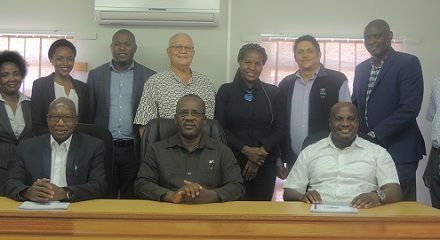 Bank Windhoek therefore continues to invest substantially in the upgrading and enhancement of its electronic products and service delivery and recently introduced Prepaid Electricity Purchase functionality and an SMS notification service called AlertMe on its Cellphone Banking Service. 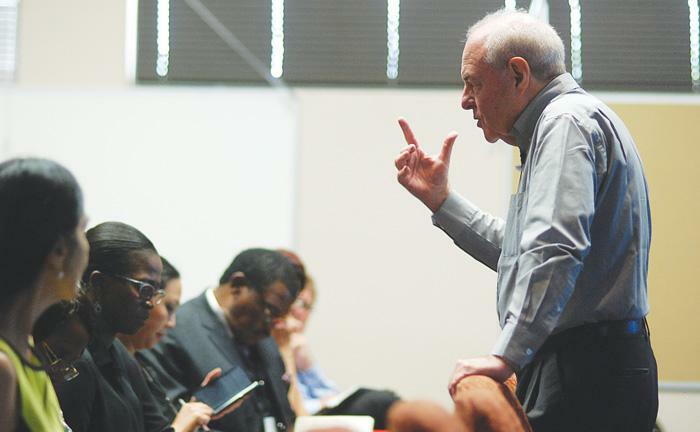 However, traditional banking services still remains an important part of the banking experience in Namibia, as many clients still prefer face-to-face assistance and discussions,” concluded Marlize. The new branch in The Grove Mall will also be supplemented by an ATM, which will add to our current number of 98 ATM’s and 236 Bank Windhoek Cash Express ATM’s installed at merchants across the country.